There are things that decrease the quality of life—overly long business meetings and dead-stop traffic. And then there are things that increase the quality of life—CBD gummy bears are definitely one of these things, and we’re going to talk about why. But first, it’s necessary to know what CBD is and what it does. For many, CBD is seen as a natural alternative to pharmaceuticals, and without a plethora of severe side effects. CBD oil users have found it to be an effective solution in managing pain and treating other conditions including anxiety, chronic stress, epilepsy, and arthritis. As the popularity of CBD oil has skyrocketed, the CBD industry has come up with new ways to use CBD to make sure everyone can enjoy and benefit from it. Now you can find CBD in moisturizers, beverages, lip balms, vaporizers, and, of course, edibles including CBD gummy bears. 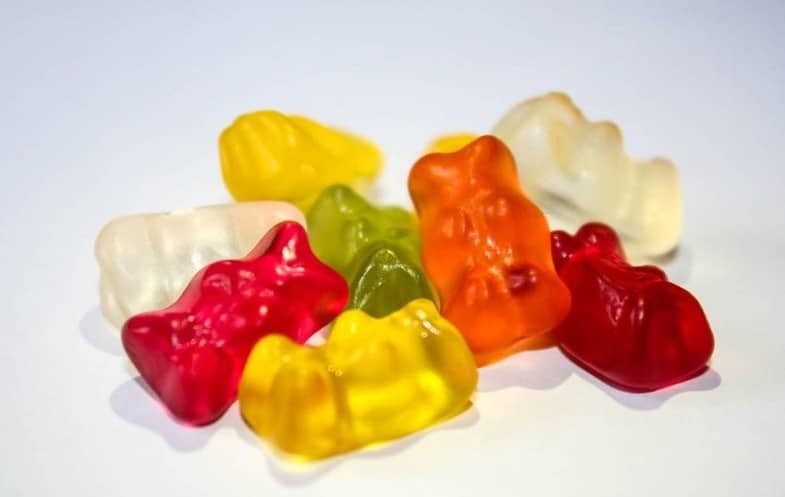 CBD gummy bears, also known as hemp gummy bears or hemp gummies, are just like the gummy bear candies you enjoyed as a kid but infused with CBD. They most often contain between 300mg and 1200mg of CBD. CBD gummy bears should not be confused with THC gummy bears. Where CBD gummy bears are high in CBD and have only trace amounts of THC, THC gummy bears are high in CBD and THC. CBD is 50-state legal, but THC is not. CBD gummie bears are tasty and they offer an easy and convenient way to use CBD—especially for those who do not care for the taste of straight CBD oil. The anti-inflammatory properties in CBD are likely the reason why CBD gummies are so effective for many pain and inflammation-related ailments. CBD gummy bears can be the answer to a better life. They provide a tasty way to enjoy the benefits of a natural alternative to many different medications. Not only have many users found CBD gummies to be more effective, but they also experience far fewer side effects than using traditional medications. No fatal overdoses from using CBD have been reported either. CBD gummies give us an easy way to have the benefits of CBD anywhere and at any time. Next time you need a pick-me-up, go for a CBD gummy bear.